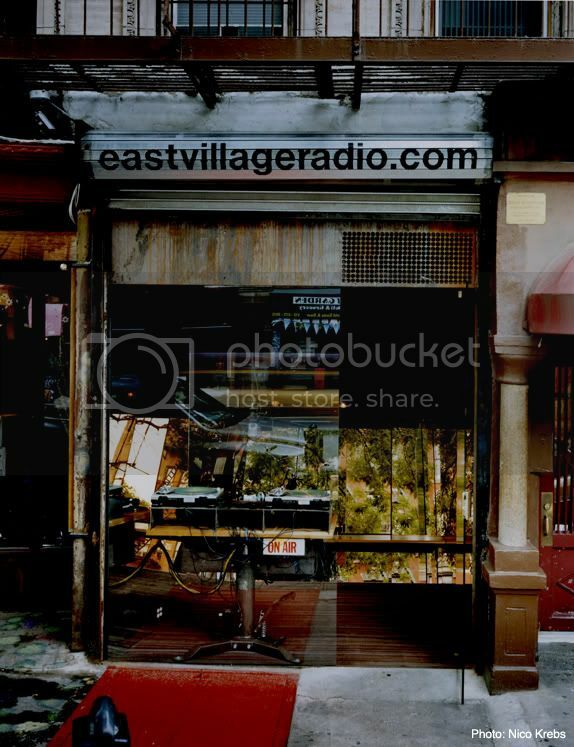 Located in a striking glass and mirror storefront at 21 First Avenue at the epicenter of one of the most vibrant neighborhoods on the planet, EastVillageRadio.com has been broadcasting and streaming since June 2003. Commercial-free, uncensored and unformatted, the East Village-centric EVR is home to a deli menu of independent music, talk and news shows. From unsigned bands, to obscure sounds and local news, EVR is an electric, eclectic and edgy portal into Downtown culture. EVR was formed by—and is funded (along with program sponsors)—by Downtown music head and restauranteur Frank Prisinzano (also the owner of Supper, Frank, and Lil' Frankie's Pizza)*. Commerical-free and uncensored, EVR is a portal though which the station's over 60 DJs and hosts provide sixteen hours of free live programming a day, in two hour show blocks, seven days a week. The very cool storefront EVR studio on First Ave. between First and Second Streets in the East Village is available for shoots. It is a small space (perhaps the smallest you’ve ever considered), but very cool, full of angled mirrors and DJ equipment. The studio is active, but we are up for renting the space with the right contract. Access to additional electrical outlets and office space for hair/make-up (if you don’t have a trailer) can be arranged. Take a look at the EVR STUDIO SLIDESHOW and get in touch if you’re interested. 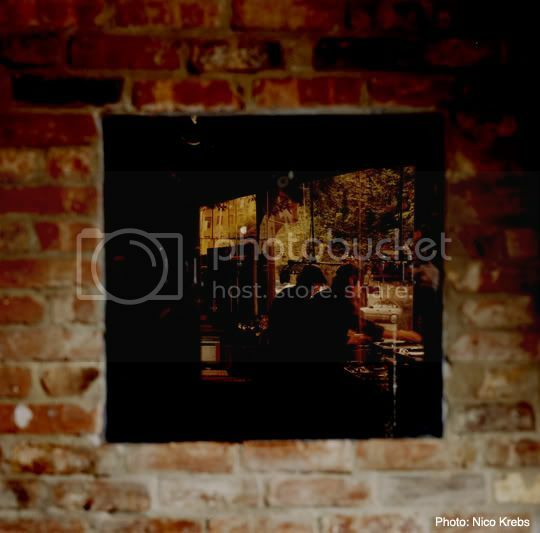 Note: One of the images in the slideshow is of the one-way glass window that looks into the EVR studio from Lil' Frankie's Pizza.